Fermented foods provide a plethora of benefits to our body. Not only do the beneficial bacteria make their way into our GI tract, they help make the nutrients in the food they ferment more bio-available (easier to digest!). Pretty nifty right? In an earlier post I discussed the tangible benefits I experienced from fermented foods, including improved skin, better bowel movements (I know, I know, it’s a recipe post, I won’t elaborate…), improved mood and sleep. But beware of overdoing fermented foods, I reactivated a histamine intolerance from over-consumption, which I’m still working on stabilising. To be safe, try a teaspoon of your favourite fermented food, increase it with each subsequent meal gradually and monitor for adverse effects. Finding a decent store-bought ferment can be tough, not only can they be loaded with preservatives and nightshades (for those following the AIP) they can be pretty expensive. I was purchasing a jar of at fermented carrots and ginger at $8 a jar! Going through a jar a week certainly made my wallet lighter. So I devised a way to ensure ingredient purity while avoiding the cost – I made my own! I don’t like spending a lot of time in the kitchen, I’d prefer to be outside, in the gym or even writing a blog post. So it was imperative that the recipe was hassle-free and quick to make. If you follow the steps below you can have the carrots and ginger fermenting within 10 minutes of starting preparation. Sounds good? Read on. 2lbs/900grams of rainbow carrots (for the Americans out there, you can find these at WholeFoods). Proper nutrition is essential to good health and can prevent and even reverse chronic illness. Across the western world and increasingly in the developing world, chronic disease is skyrocketing. The the US state of Maine alone, three quarters of people die from chronic and mostly preventable disease, an astronomical rise since 1900, where just one in every six people died from chronic illness. There is a rational argument that as the human population lives increasingly longer, one would expect to see a gross increase in disease associated with age, such as chronic disease. However recent studies are turning that theory on it’s head. A raft of studies are showing that while the total number of people with chronic disease is rising (supporting the theory), so too is the proportion of chronic disease rising in the population (debunking the theory). Why is chronic disease rising? 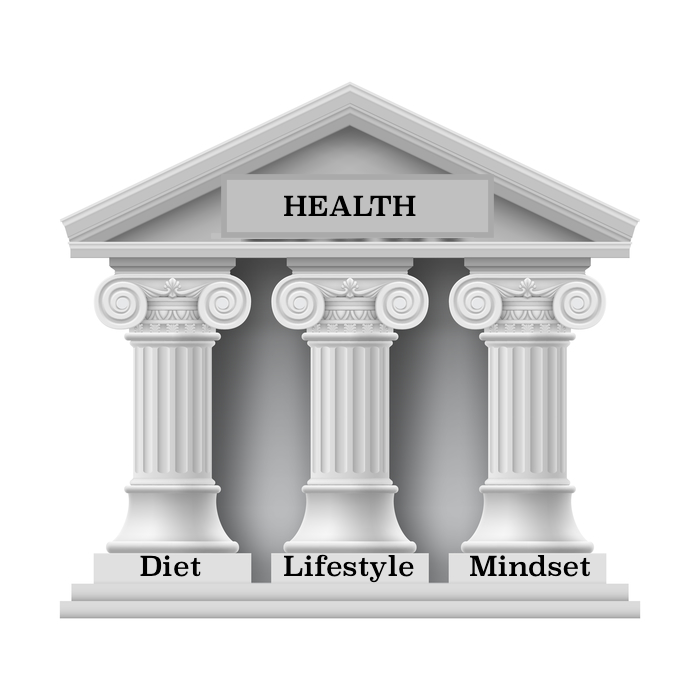 If you are reading this blog, you may already know that I focus on diet, lifestyle and mindset as the three key pillars to health. As our reliance on technology has increased and we have become busier, we are investing less and less time maintaining these pillars, and the materials (nutrition) we are using to build them are becoming increasingly devoid of the nutrition they need to stay strong. As a result, our health is crumbling around us. In this series, The Story of our Declining Health, I will document how each of these pillars has contributed to our increasingly poor health. I’ll lay out the rationale in a succinct, easy to follow manner, detailing how we have become ill and what we can do to reverse the trend and reclaim our health. 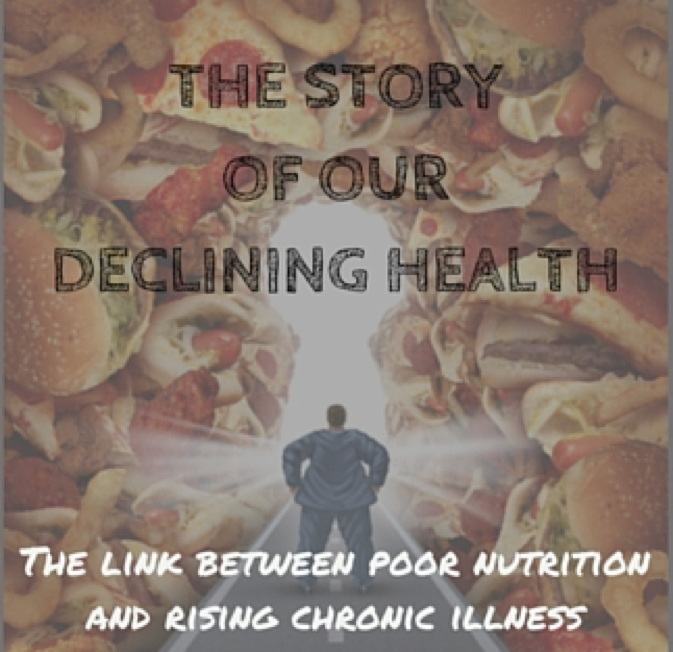 Today’s post explores the fundamental role poor nutrition has played in the rise of chronic illness. 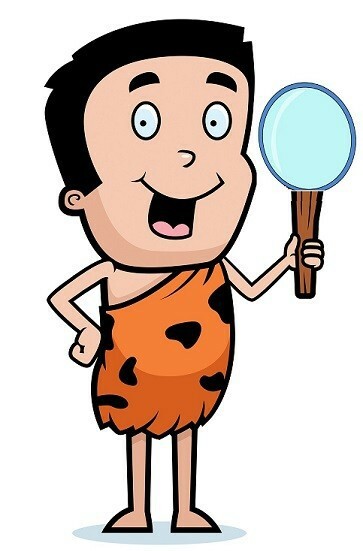 To the best of our knowledge, modern humans (Homo Sapiens) first started walking this planet around 200,000 years ago. Even further back, our earliest human ancestors (the Homo Habilis) have been dated to as early as 2.5 million years ago. To put this in context, during this time the saber tooth tiger was still roaming and the gap between north and south America had only just been sealed! The human diet from 2.5 million years ago until just 10,000 years ago would have varied according to geographic location, climate, altitude, etc. However, before the development of agriculture and animal husbandry 10,000 years ago, our diet consisted of minimally processed wild plant and animal foods. The advent of the Agricultural and Industrial Revolutions (representing just 0.4% of humans’ time on this planet) saw a sharp change in the types of food we were consuming, as advanced food-processing procedures were developed. This was particularly pronounced following the Industrial Revolution (ending in the late 1800s in the US and continuing well into the 1900s in other countries). The western diet following these revolutions was greatly varied to that of our ancestors. Over 72% of the energy received from western diets comes from sources which were not available to our ancestors including dairy, grains, refined sugars, refined vegetable oils and alcohol. These ingredients provide the basis for food ubiquitous in western diets, including; pizza, cake, bagels, soft drinks and chips. The introduction of these nutrient poor, inflammatory foods have had far reaching effects on our health and wellbeing. As the foods of the Agricultural and Industrial Revolutions replaced the minimal processed wild plant and animal foods they started to adversely affect human health. At the same time heavily processed foods have replaced plant and animal foods, our modern-day plant foods have become less nutritious. In her book “Eating on the Wild Side” (affiliate link*) author Jo Robinson reveals how humans have bred fruits and vegetables to be larger and sweeter, resulting in a dramatic loss in nutrients. This has had serious adverse implications on our health as nutrients are needed to repair tissue and muscle damage, quell inflammation and even to properly digest foods. Nutrients also play a critical role in reducing the onset of chronic disease, eating ample amounts of nutrients reduces the risk for a raft of chronic disease. The food we eat gives our bodies the materials they need to function properly. If we don’t get provide our body with the right materials our health declines. The replacement of wild, nutritious, plant and animal foods with the highly refined and processed foods of the western diet has seen rates chronic disease skyrocket. To reclaim our health, we must provide our bodies with the materials they need to function optimally. In future posts, I’ll explore a range of different dietary approaches used to provide our body with adequate nutrition and heal from chronic disease. Stay tuned! Low-moderate intensity cardio or strength training is best for those with active chronic inflammatory and autoimmune disease. My health has been on a roll recently. I’ve increased the amount of food in my diet, I’ve been sleeping well and I have been far more productive than ever before. With all of these positive changes, I felt I was ready to increase my exercise frequency and intensity. Anyone who knows me well, knows I love exercise. 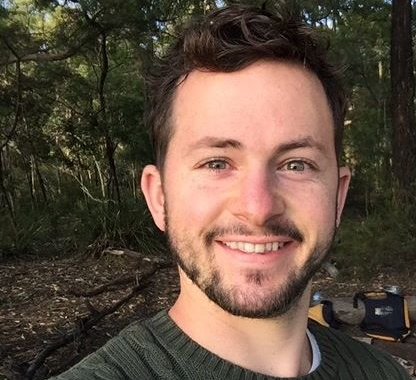 I was a cross-country runner in high school, played Australian Rules Football and had a regular weight lifting routine. Once I fell ill, I was unable to continue running or playing football. It was too much stress on my body. I was however very grateful to be able to maintain the weight-lifting. My improved health provided an opportunity to try running again, to reclaim the that endorphin rush I had been missing for years. Unfortunately, things didn’t quite go according to plan…. After my first run I felt great but I noticed that the next day I was lethargic getting out of bed and my mental clarity was poor at work. I tried again the next day and again, I had the same symptoms. I knew my body wasn’t quite ready yet. I’m determined to learn from my setbacks and this experience got me asking myself, what are the best types of exercise for those with autoimmune and chronic inflammatory diseases? Regular movement and exercise is critical for good health. Despite what you may have been told, exercise isn’t nearly as important for calorie burning as it is for hormone regulation. All forms of exercise have a profound impact on our ability to adequately regulate our hormones, which is crucial for those with chronic illness. Which type(s) exercise is best? With all of these choices, it can be difficult to determine which is beneficial and which may be harmful. According to integrative health expert Dr. Jim Nicolai, for people with autoimmune disease “mild to moderate exercise is best for boosting your mood without overtaxing your body”. Further to this, ancestral health practitioner Chris Kresser states that “excessively intense exercise can cause a variety of health problems, especially for those dealing with other concurrent stressors such as autoimmune disease”. This is especially so if you are one of the 20 million Americans who have a form of thyroid disease. The stress caused by intense exercise has been shown exacerbate the symptoms of hypothyroidism. Unless your autoimmune symptoms are in remission or very well managed, it is best to stick a moderate or low-intensity work out. So now you know how intense your workout should be, let’s see examine cardio-intensive and strength training. A 2015 study looked at the influence of regular walking on fatigue and pain in patients with the autoimmune disease Multiple Sclerosis. The results showed that after three sessions of 40 minutes per week for 12 weeks, patients improved not only their pain and fatigue over base line measures, they improved their physical function and mental health too. While the results of one study alone aren’t enough to make sweeping generalisations, these results are encouraging enough for you to incorporate regular low-moderate intensity cardio-activity into your exercise regime. The best documented effects of strength training on overall health are on hormone regulation. Hormones are the chemical signals that connect virtually every cell in your body and effect everything from weight control, to insulin sensitivity, bone density and maybe most importantly for those with autoimmune disease, stress management. In another 2015 study, a group of patients with polycystic ovary syndrome (a disease which often precipitates or accompanies autoimmune disease) undertook strength training for three times a week over 10 weeks. At the end of the study, the group not only improved hormone regulation compared to the control group, their fat percentage decrease significantly too. There is convincing evidence that both low-moderate intensity strength and cardio training have beneficial effects on chronic inflammatory disease. 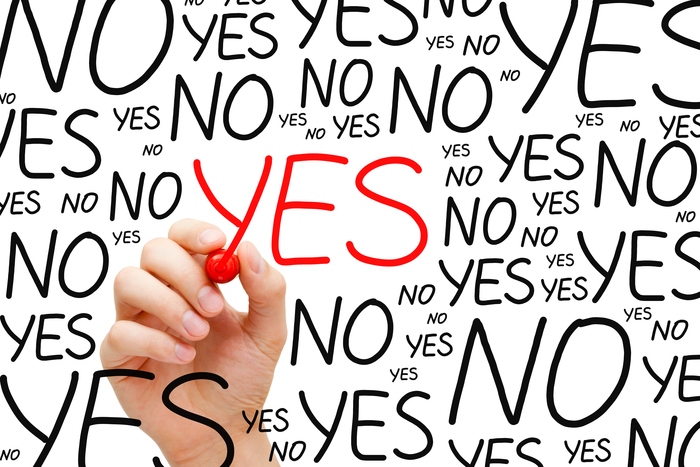 In terms of which type of training has the greatest benefit, the answer will vary according to the individual. It’s a case of n=1! Your own self-experimentation and personal preference will help you decide which type of exercise, cardio, strength (or both) works best for you. To make sure the exercise is beneficial and not detrimental, people with autoimmune or chronic disease need to make sure you don’t over-train and you keep and exercise to low-moderate intensity. * This information is advice based on research conducted across medical journals, clinicians’ websites and online newspapers. I am not a medical professional and as such, please consult with your doctor before incorporating any new exercise regime into your life. 2 and a half years on the AIP…. I’ve been following the AIP for over 2 years now. It seems like just yesterday I stumbled across Terry Wahls’ TED Talk, Robb Wolf’s book (affiliate link) and Sarah Ballantyne’s website – empowering me to take my health into my own hands. Over these 2 years, the process of food elimination and reintroduction hasn’t been simple. On top of the standard eliminations (eggs, nightshades, nuts, seeds, etc.) I quickly discovered I needed to remove sulphur-rich foods, high FODMAP foods and high starch foods in order to avoid any unwanted reactions. For the better part of two years my diet was heavily restricted, eliminating vast swathes of food and most likely causing a degree of nutrient deficiency. Our bodies need nutrients to heal but my body couldn’t tolerate the foods in needed to heal. 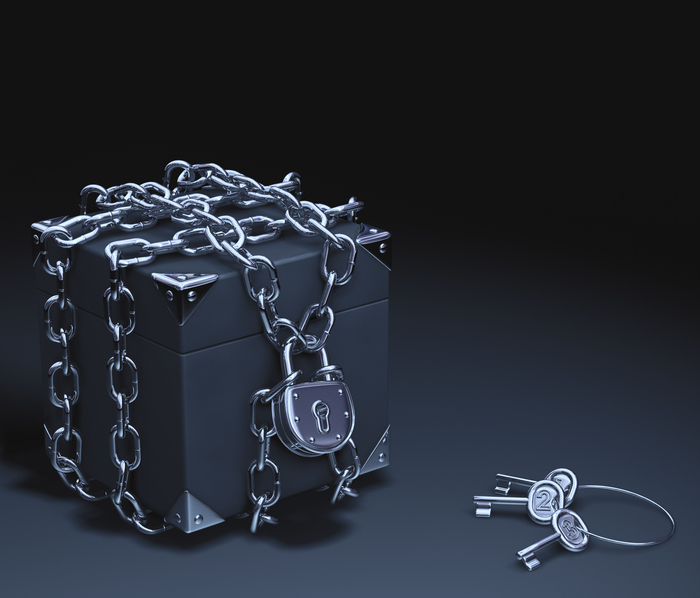 I was trapped in a vicious circle…. However, a few months ago, I broke the circle. I found a way to incorporate ever more foods into my diet and continue to improve my health at the same time. Nuts, starchy foods, nightshades and now even some sulphur rich foods are back on my plate (hurrah!). So how did I do it? There is no silver bullet or secret sauce, just a few simple steps I apply consistently to all my food reintroductions. 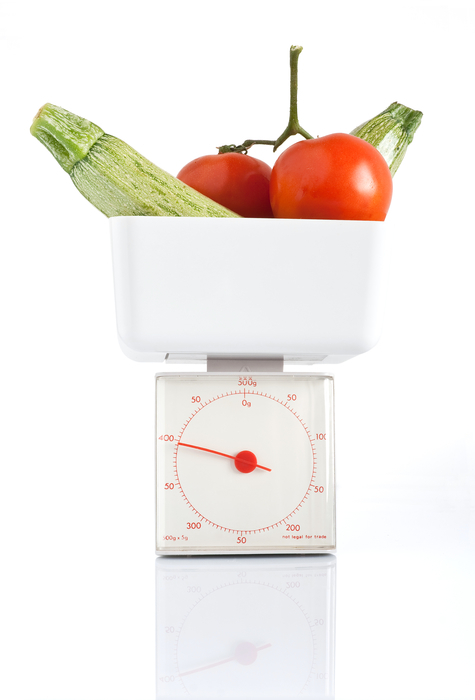 The quantity of food you consume will impact your body’s tolerance to it. This may sound simple but it’s something that took me a long time to work out! I recently reintroduced sweet potato into my diet successfully, despite trying for years with adverse reactions. Why was it different this time? Quantity! Previously I’d reintroduce up to one whole sweet potato for one meal. It was far too much for my body to process. I started with a few slices and slowly I’ve worked my way up to a quarter of a small sweet potato with each meal. Understanding and listening to your body is crucial for successful food reintroductions. Bottom line is that the more heightened your state of inflammation, the less likely your food reintroductions will be successful. For the better part of my time on the AIP, I have I have been experimenting with an array of supplements to improve my health. These have ranged from supplements to break down bio-films, supplements to increase gut motility and supplements to rebalance my gut flora. While I am a strong advocate for the use of supplements when needed (always consult your medical practitioner before adding or removing supplements), an unintended consequence of the aforementioned supplements was creating a prolonged, increased state of inflammation. This was hampering my ability to heal as well as to tolerate food reintroductions. I recently removed the offending supplements from my regime and not only do I feel better on a daily basis, my food tolerances have improved markedly. Ask yourself, is there anything you can control that is creating a heightened state of inflammation? Whether it be lack of sleep, a food in your diet not well tolerated or even a supplement – do what it takes to reduce inflammation you can control and you may just find your food tolerances improve. Mindset, again, really? You betcha! 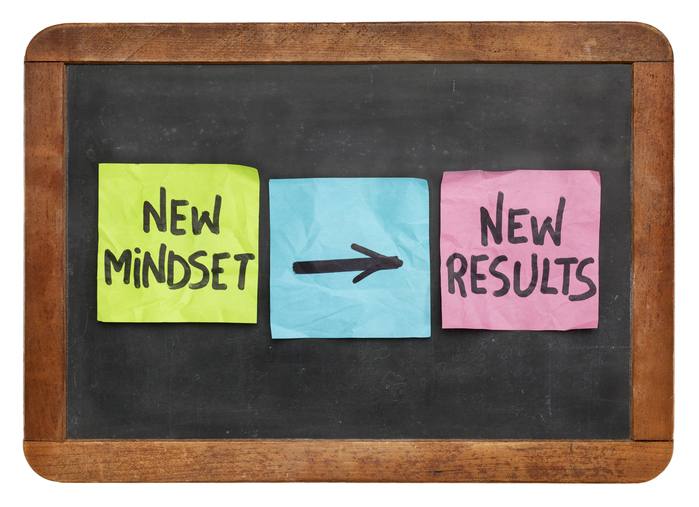 If you follow my blog you know that I hammer this point home as often as possible (for more on mindset, check out why mindset is so crucial or learn out improve your mindset). I do this because mindset is fundamental to reclaiming your health. If you believe that a food reintroduction is going to be unsuccessful, you are effectively setting yourself up for failure. You are sending signals to your cells that the food is going to cause harm and chances are they will make this happen. The science behind this is called “behavioural epigenetics” and it’s fascinating! If you want to learn more I encourage you to check out the work of cellular biologist Bruce Lipton or read this article from Dr Mercola. Eileen from Phoenix Helix has created a step-by-step guide to Food Reintroductions to help you through the process. 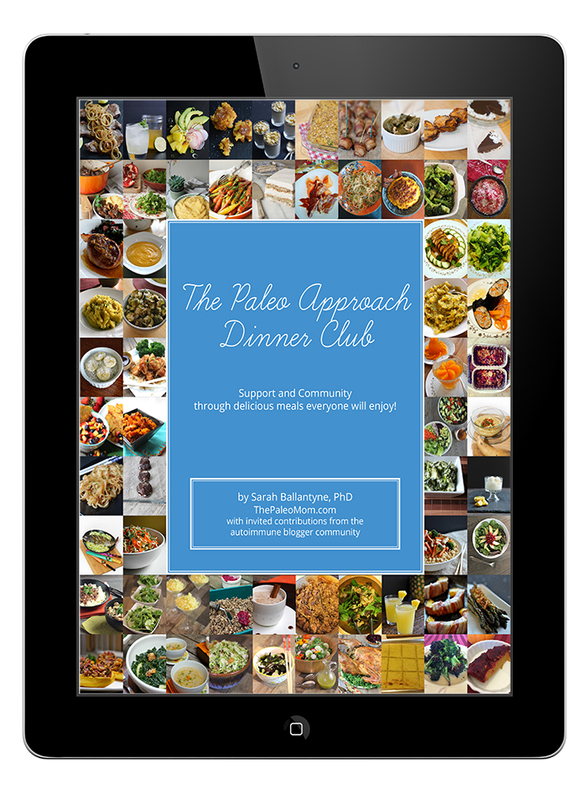 The 43-page book, guides you through the Paleo Approach endorsed method for food reintroductions with some delicious recipes to boot. Eileen is giving away one lucky copy of the e-book, with the winner being drawn this Friday 25 September 2015. To enter click on this link and scroll to the bottom of the page. If you are itching to get your hands on the guide, click here and purchase yourself a copy for US$8.95*. *Your sale by clicking on the link above will also help some of the world’s most impoverished citizens. As an affiliate for this product I earn a small commission, which I am donating to the Whole Planet Foundation, supporting poverty alleviation in developing countries where Whole Foods Market sources products. So what are you waiting for? You have the resources to help you with your food reintroductions. If you feel ready, apply this knowledge and kick some goals today! As I wrap up an amazing week spent traveling with my mum across the US, I am reminded of how privileged my life is. I have a wonderful, caring family, a loving partner, a career which I could have only dreamed of just a few years ago and I am living in one of the world’s most alluring countries. Despite all of these blessings, it struck me on this trip that I have spent the past few months focusing on what is missing from my life. I have been focused on nagging health issues (despite my health improving), the loneliness of moving abroad alone (despite living in a city with boundless opportunities to meet people) and other such issues, despite the many sources of happiness which exist in my life. These negative thoughts have slowly crept into other aspects of my life. I found myself using these thoughts as excuses to not achieve my potential across a range of endeavors. Whether it be allowing myself to skip several gym sessions, canceling activities with friends or making poor food choices, my mindset has been adversely impacting my life. I am a firm believer that everything in life happens for a reason. I cannot profess to be deeply religious or spiritual but I do believe that everything and everyone on this Earth is interconnected. This past weekend I had the opportunity to see the great Les Brown live. For those who haven’t heard of Les, he is one the world’s best motivational speakers with a powerful personal story. The opportunity to hear him speak was unexpected. I’m certain it was one of those “everything happens for a reason” moments and I’m determined to make the most of it. Before hearing Les speak, I knew that my mindset wasn’t where I wanted it to be, but I didn’t know how to change it. Maybe you can relate? Maybe you’ve been less patient with you kids lately or have settled into a routine that is not conducive to achieving your goals? You’ve noticed that your thoughts hinder rather than support your ambitions but you just don’t know how to get out of the rut. This tip isn’t just for the pirates out there! Anchors in our lives include household clutter, invasive phone apps/games and above all negative people. This last point might sound a little harsh to you however it’s neither beneficial for you or that person to associate with someone who is having a negative influence on your life. How can you expect to feel good about yourself when you keep close company with people who constantly wear your down, throw insults at you or aren’t supportive of your dreams and ambitions? Once you have cast off your anchors, fill the void with people whom you respect and wish to emulate. These people can be catalysts for substantive positive change in your life. Their achievements, positivity and support will help to reframe your mindset. How do you find these people? Well they may already be in your life. Start by actively catching up with those people who you respect and who make you feel good. Then try the internet with its various forums, groups, threads. Or maybe you could join a local association for your passion? On a daily basis we surrounded by sounds, videos and images telling us who we are isn’t good enough. These can come in the form of TV ads for acne cream, weight loss supplements or makeup. Worse still, it could be someone you love and respect telling you you’ve put on weight or that you can’t achieve your dreams or goals. These can have a damaging effect on our mindset and self worth. Counter these messages by making time each and every day flood your mind with positivity. It could be your favourite motivational speaker, a positive podcast, positive affirmations your read to yourself or better still, a combination of all. If you follow this blog, you know the importance of a great diet. Our bodies run best when we provide them with the building blocks they need to thrive. 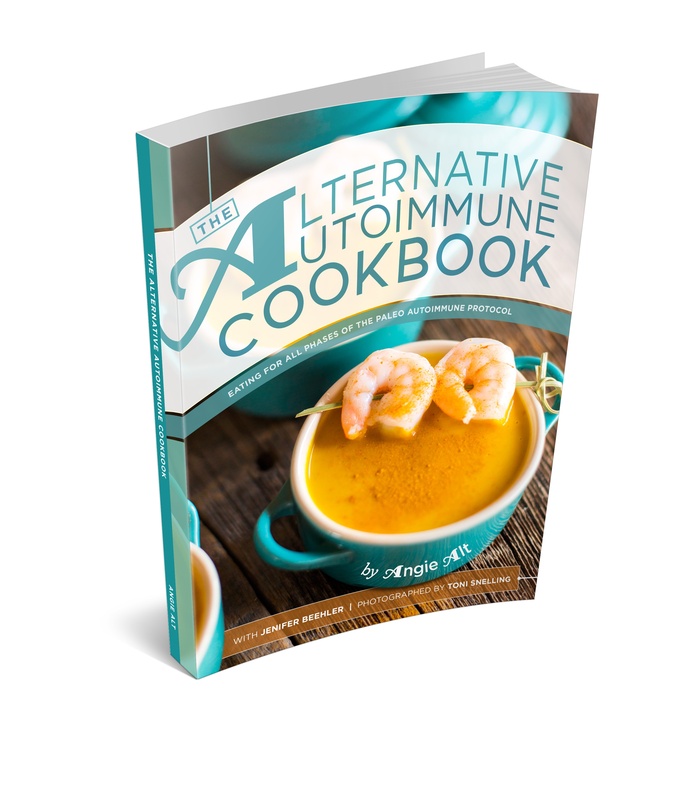 For me, this is the Paleo Autoimmune Protocol, for you it may be something different. The mind-body connection is strong. When we eat well we feel well and it becomes easier to affect positive change in our lives. Let’s face it, you lead a busy life. You might have a family; you might have a busy career or maybe you are busy doing your best to improve your health? Either way, this can and will lead to stress if you don’t take time out to practice stress management. Routine is critical here, make sure whatever activity it is (yoga, meditation, napping, exercise), you incorporate into your routine and do it regularly. 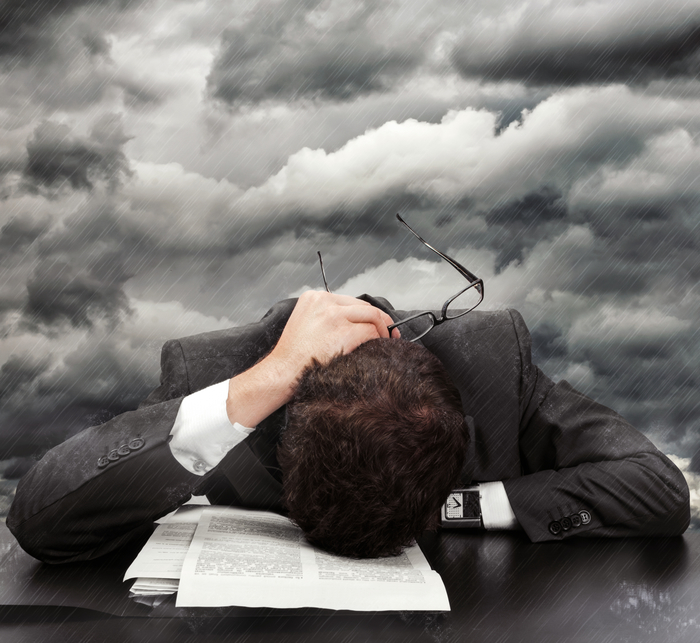 You can’t expect to achieve a positive mindset if you regularly feel stress. A positive mindset will lead to a positive life, where your goals, dreams and ambitions become reality. It’s a difficult change to undertake but it is absolutely worth it. Hello friends, and welcome to my first post from the United States of America. If you’re wondering how/when/why I moved to the US, be sure to follow me on Facebook, where I share daily updates. It’s been a challenging yet highly rewarding first month here, personally and professionally. I may have underestimated (OK, definitely underestimated) the difficulty of moving to a new city, a new country, starting a new job and leaving my family, friends and partner behind (thankfully my partner will join me in January!). I’m going to be frank, I’ve had my ups and downs. Petra8Paleo’s insightful post inspired me to share both the highlights and lowlights of my journey. So today, I’m sharing both. I started my new job just 3 days after the 747’s rubber hit the tarmac at Dulles International. I spent the first week learning the ropes of the job and furnishing my apartment so I would at least have a bed to sleep in and cutlery with which to eat my food. The next week I was asked to go Hawaii (halfway back to Australia!) for work. Although, of all the places to go for a two-week work trip, Hawaii ain’t bad! 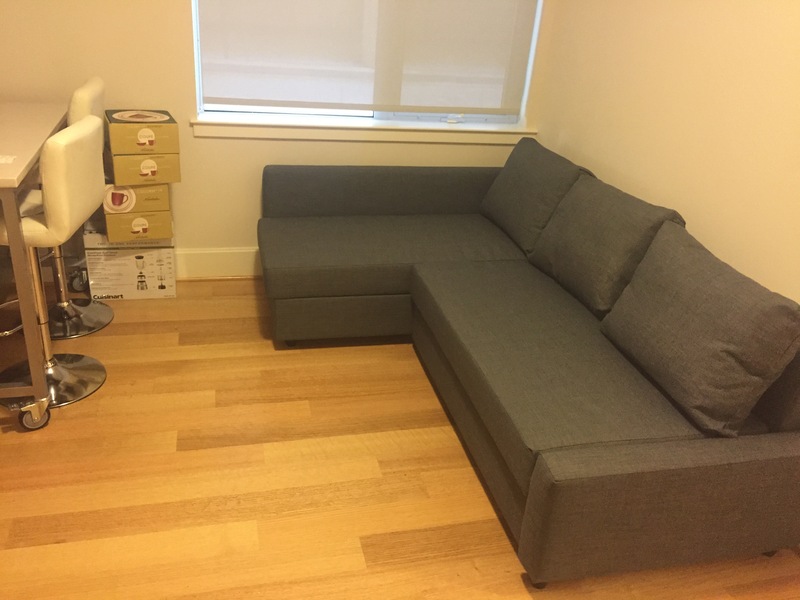 My apartment is slowly being furnished, I now have a couch, cutlery and chairs! But I admit, once I got back to DC, the travel, learning a new job, finding places to purchase AIP-compliant food, making friends, and the chaos which is moving to a city I had never even visited before took it’s toll on me. I found myself irritable, fatigued and frustrated. I had told myself before the relocation that I wouldn’t let the move affect my health adversely and it was doing just that. To compound this, my food intolerances increased, my hair became dry, thin and brittle and my eyes and skin, inflamed, sore and red. I knew I was at a cross-roads and it was up to me to steady the ship. Hurrah for the power of fermented foods! On a whim at a boutique grocery store I decided to purchase some a jar of fermented carrots and ginger. I was feeling pretty crappy and thought I would indulge (at $8/jar it wasn’t cheap!). I consumed a small portion with my next meal, taking care not to overindulge (anecdotal evidence and my personal experience suggests that eating large quantities or fermented foods in a single sitting can cause a herxheimer/die off reaction). The results were powerful. My bowel movements improved out of site! For someone who has been dealing with SIBO for the past few years, my bowel movements were infrequent, once a day at best. Now with each meal I eat with fermented foods, I pass a bowel movement on cue, 2-3hrs post meal! My food intolerances improved and continue to do so. 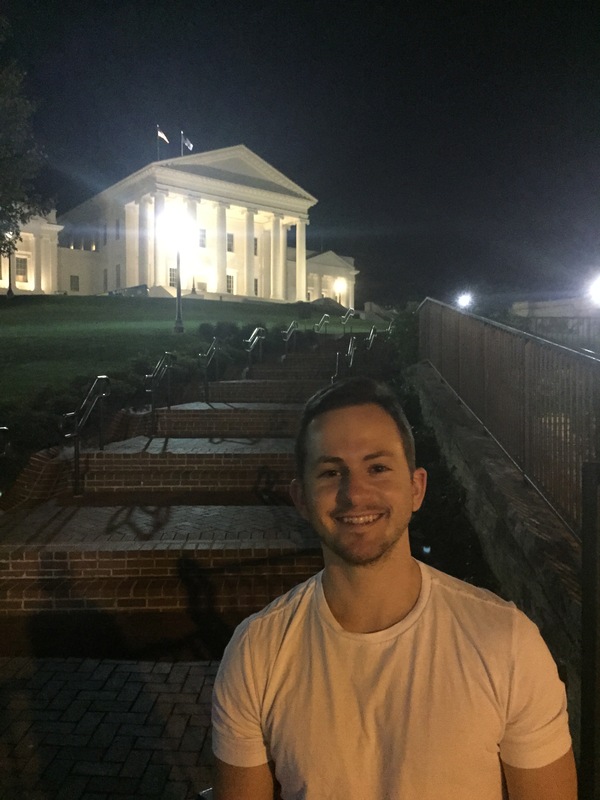 Me on a recent trip to Richmond, VA. Feeling and looking much better! I developed a rash on my groin (TMI, I know! ): This turned out to be “jock-itch” and only started healing when I removed the fermented foods. However, not wanting the positives to be derailed, I re-introduced fermented foods only for this rash to come back. I have since started treating it with coconut oil and a medication from the pharmacy, and it’s almost gone. Crawling out of my skin: If I consume more than a few teaspoons of fermented foods with any one meal, within a few hours I get a feeling which is hard to describe. It feels like I am trying to crawl out of my own skin. I become impatient and uncomfortable. Dry eye: Again, if I over consume the fermented foods, my eyes become drier than usual. It usually takes a few hours for this to kick in. I have long suspected that an irritation of my mucosal membranes causes my dry eye and I’m yet to link how the overconsumption of fermented foods is playing into this. As you can see, introducing fermented foods hasn’t all been positive. But overall the pros have far outweighed the cons. This improvement in my health from fermented foods has allowed me to steady the ship. I can report that I am now feeling much better. My positive outlook has returned and I can’t wait to kick some more goals as I continue this journey in this amazing country. An important message before the end of the post..
Let me be clear, there is no one silver bullet to healing. It’s the compound effect of diet, lifestyle and mindset which allows us to reclaim our health and thrive. Fermented foods haven’t reclaimed my health on their own but they did provide me with the boost I needed to take control of the variables (eg, sleep and exercise) in order to feel like myself again. 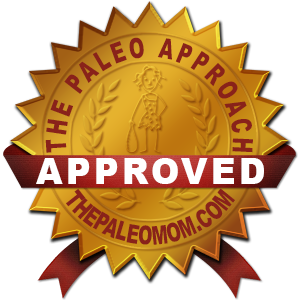 For more information on the science behind the benefits of fermented foods, be sure to check out this informative post from The Paleo Mom. 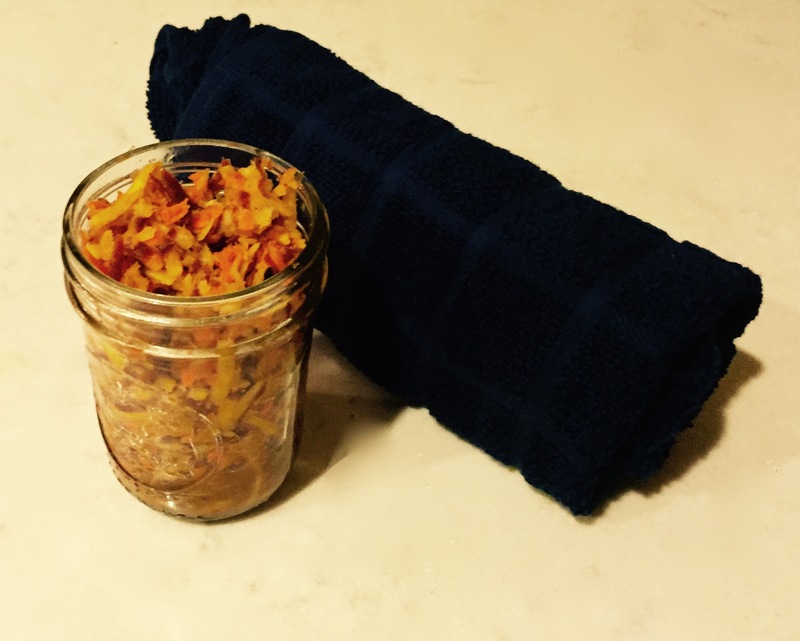 Stay tuned, in my next post, I’ll be writing a recipe for super simple fermented carrots and ginger. Sure to save you both time and money! The Autoimmune Connection is a web series dedicated to all things autoimmune. With hosts Christina Feindel of A Clean Plate, Emma King of The Bacon Mum, Kate Jay of Healing Family Eats, and Rory Linehan of The Paleo PI interviewing new guests every episode, we’re bringing patients, practitioners, friends and family together to connect the dots between diet, lifestyle, and autoimmune disease. New York Times best seller Dr Sarah Ballantyne (aka the Paleo Mom) joins me on this week’s show to answer questions submitted by you! Sarah fields questions on thyroid health, SIBO, attempting multiple healing protocols at once, why lifestyle is so important and much more.